Sobiech - Joelle Delbourgo Associates, Inc. Becoming an author was not something Laura Sobiech ever intended to do. A Midwest wife and mother of four, Laura was living a pretty average life, raising kids, working two jobs and volunteering at her local fire department. Until one cold and rainy day in November 2009, her third child, Zach (14), was diagnosed with a rare form of bone cancer called osteosarcoma. Life as she knew it was forever changed. Laura started blogging on the family’s CaringBridge (a website for families dealing with medical crisis) as a way of keeping people informed of Zach’s medical status. The blogging soon became a way for her to step out of the chaos and reflect on life with a child battling cancer. As the years went by her readership grew; people from across the country were tuning in to be inspired by the story of her son’s battle and triumphs and her reflections on how to find joy through suffering. 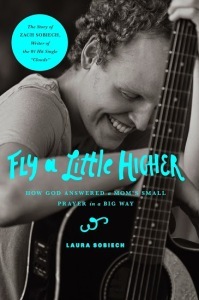 Laura’s memoir, Fly a Little Higher, How God Answered a Mom’s Small Prayer in a Big Way, recounts Zach’s heroic battle with cancer, his joyful outlook on life and the remarkable story of his beautiful and poignant song, “Clouds,” and how it changed the world. She tells the story with authenticity, exposing her family’s struggles while living through disease and death. Though the story is heartbreaking, it is also one of hope, filled with joyful and even funny moments as Laura writes about her spiritual journey with her son through cancer in a way that people of all faith backgrounds can relate and draw from. 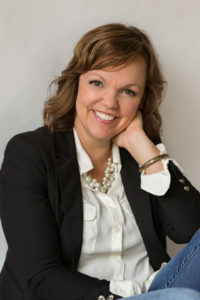 You can follow Laura on Twitter and learn more about her book on the website www.laurasobiech.com.